I took a little trip to the Lily White & As U Wish showroom a few weeks ago. I had so much fun learning about their design process, touring the archives, and checking out all the fabric samples and design offices. They design everything in-house from start to finish, which I thought was impressive, and produce tons of cute clothes all year. 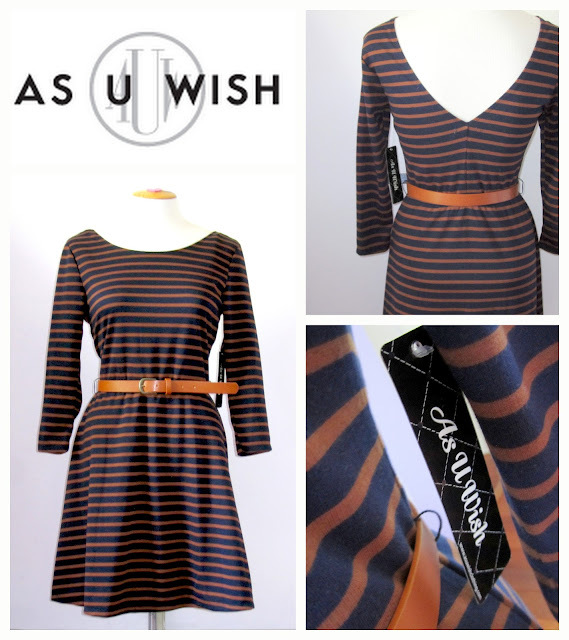 As U Wish specializes in trendy and affordable dresses. They generously offered a dress to give to one of my readers. 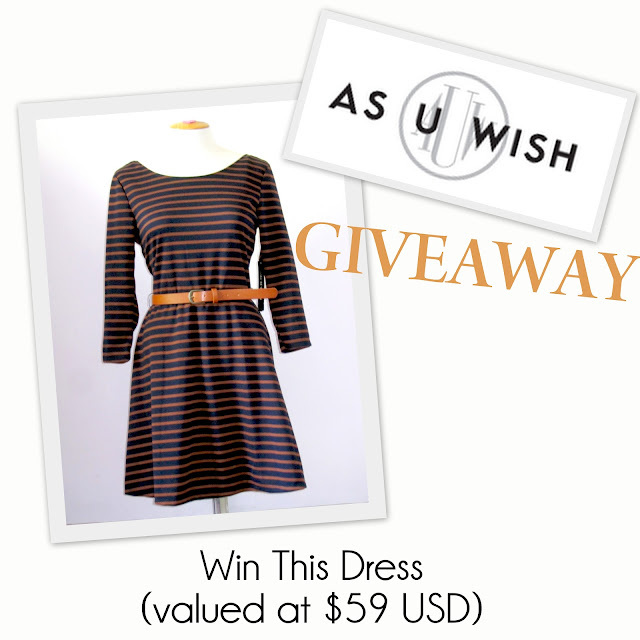 I handpicked this super cute dark navy and camel striped scoopneck dress. It has 3/4 sleeves, a deep v in the back, and comes with a matching belt. The silhouette is universally flattering--fitted at the bust and waist with a skirt that flares out. It's casual enough for everyday, and can be dressed up or down. The winner will receive the dress pictured (size medium). Enter via Rafflecopter below. You must be a blog follower (GFC or Bloglovin') to be eligible to win and include your e-mail address (will be used to contact the winner). Leave a comment in this post and let me know how you would style this dress!